Liam Bluer joined Mokoro as Projects Assistant in October 2018. He provides project administration and assistance in support of Mokoro’s assignment portfolio and company operations. 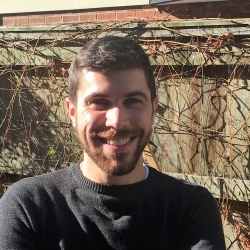 Liam has more than five years’ experience in the international nonprofit sector, having worked on educational initiatives in Thailand and Nepal, and as a campaigner in support of North Korean refugees in South Korea and the US. More recently he spent three years working at an NGO in rural Guatemala, where he coordinated programmes providing indigenous communities with early education, microfinance, and vocational training.